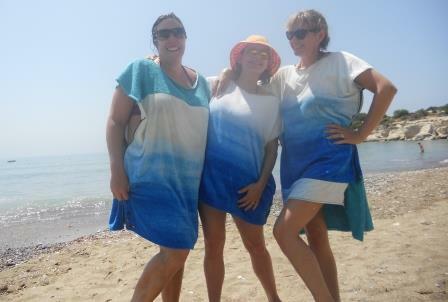 LOLL beach towels started life on a windy beach in Worthing, UK, back in 1983, when Lara (LOLL founder) used to go to stay with her Granny and use a towel with head and arm holes when changing on the beach. This great idea remained in Lara’s subconscious until she saw beach ponchos being used in Tasmania by a friend’s children (who loved them and literally lived in them for 3 days). 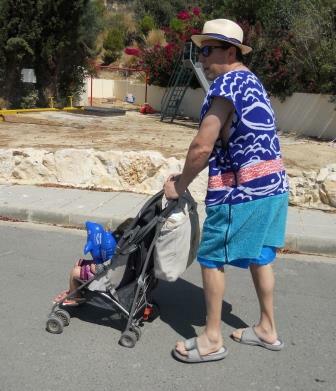 Lara thought, “hang on, why don’t they make these for adults?” And so LOLL was born, based on the towels that Lara’s Granny made and the ponchos the children loved. The first LOLL towels Lara developed were pretty basic, but with feedback from her Tassie friend, LOLL V2 was developed. Four of these babies were made at home by Lara on her sewing machine, then given to her sister, brother and his wife to use on holiday. “Having my guinea pigs wear the LOLL towels for a week really gave me a proper insight into what worked and what didn’t”, says Lara, “such as why a pocket was needed, the hot legs issue raised by my sister-in-law and how useful they actually were”. LOLL V2 turned in LOLL V3 on Lara’s return from holiday. 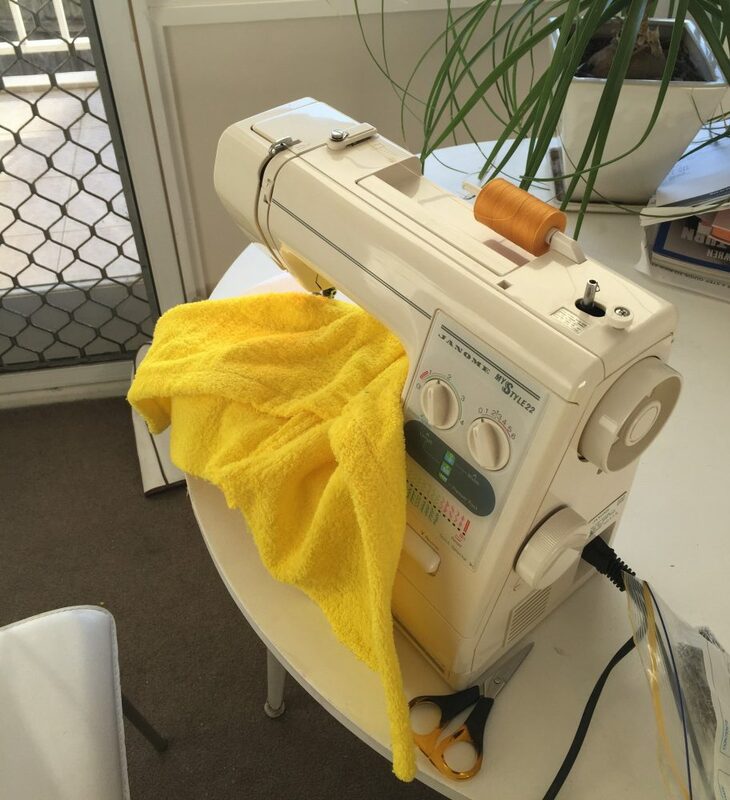 She knocked up LOLL V3 on her sewing machine with yellow toweling (which did rather make her feel like a giant duck!). V3 was to check the length, width, add a hood and test how long the back needed to be to avoid burning your legs when sitting on a hot car seat! LOLL V3 was tried on by a few of Lara’s friends – male and female, tall and short, curvaceous and not so curvy – to check the width, length and hood. Lara wanted to make the LOLLs so that one size really does fit all, not just super slim, leggy people, because that’s no fun! 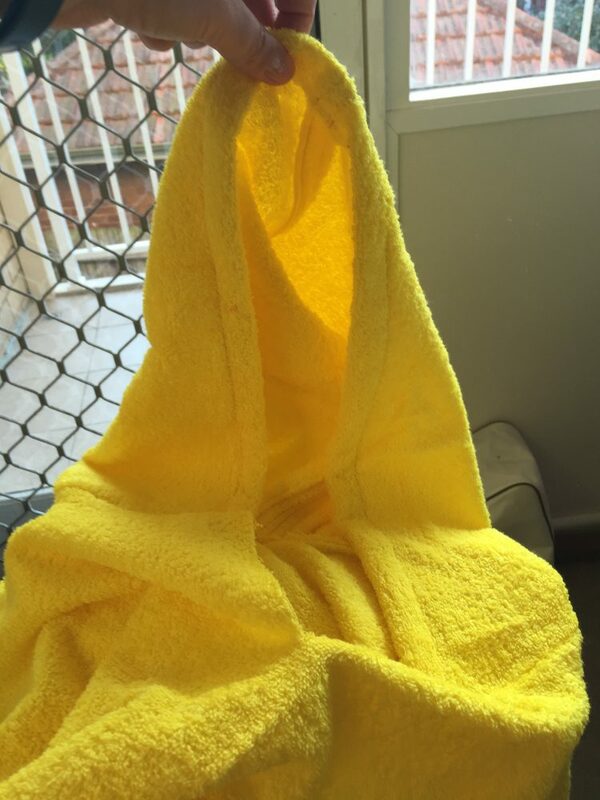 With a few more modifications the instructions were sent to the manufacturer and China for final samples… Then on a hot day at the end of January 2016 LOLL towels arrived into Australia! The first two designs are a plain black one and a blue and white striped one. A new style arrived in October 2016 using Turkish Towel material in 3 new designs. 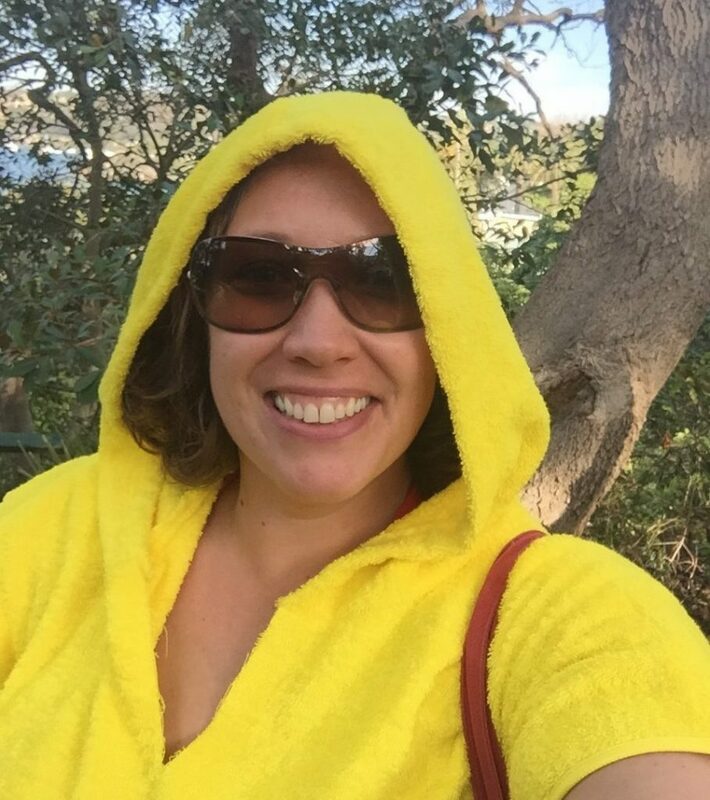 Here’s me (Lara) in one of the early LOLL prototypes testing it on a trip to the beach… I don’t think that yellow is really my colour and I felt a big like a giant duck….. Needless to say unless there is overwhelming requests for a yellow LOLL I don’t think that they will be coming out any time soon!